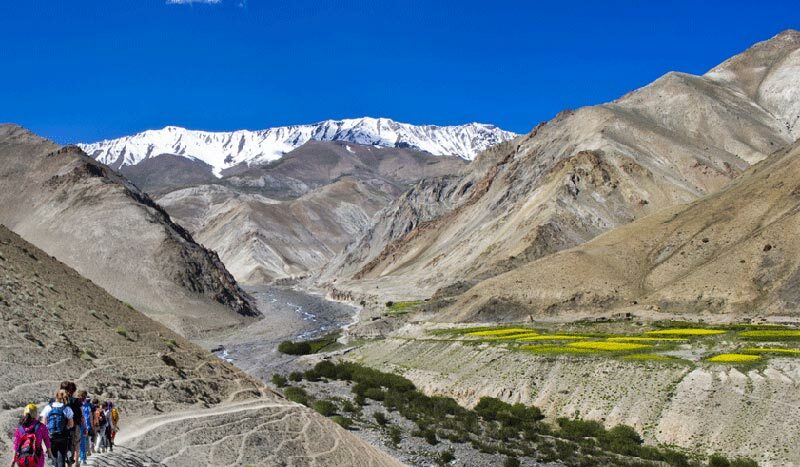 This trek follows a circular route around the Hemis National Park. The trek is a thrilling experience what with two 4800 - 5000m high passes to cross as well as waist - deep rivers to ford on the way. The campsites are among aromatic shrubs and wild roses. You can spot blue sheep on the bare mountains or get entertained by the antics of the marmot while following the beaten trail. 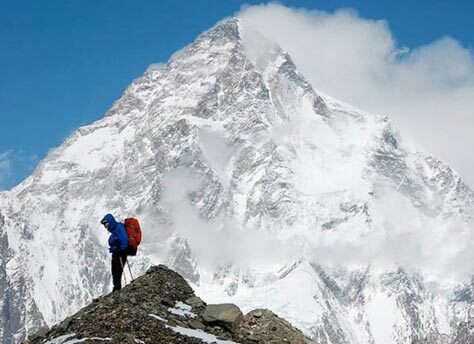 The Markha trek is one of the most sought after treks in Leh. Writing & reading material: pocket diary, pen, color pencils, book(s), kindle, etc. 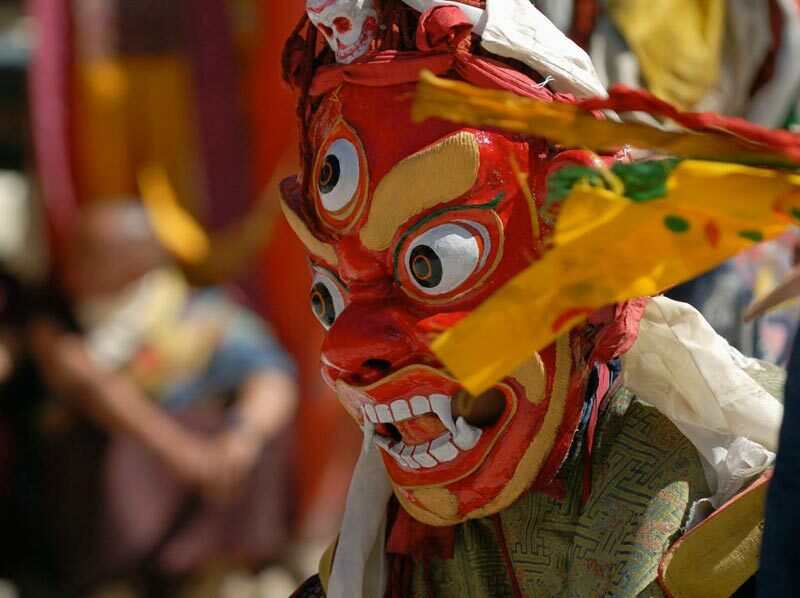 The early morning flight from Delhi gets to Leh in less than two hours. From the airport guests would be transferred to a three star city hotel where they would be housed on full board. 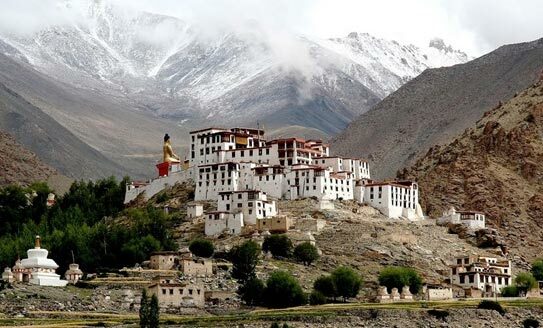 Leh is at an altitude of 3500 mts. And all guests are advised to rest for the entire day. A successful trek in Ladakh requires you to acclimatize well. The first day's walk can begin from Phey Village, instead of Spituk. It is a fairly pleasant walk in a south-westerly direction along the Indus on your right. It is long gentle walking before you enter Zingchen Gorge. The gorge is dotted with poplar trees and you reach Zingchen village after an hour's walk. 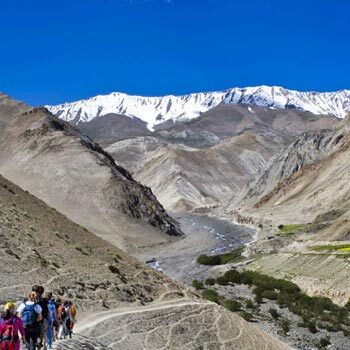 To skip the regular rush of trekkers at the normal campsites it is advisable to continue walking to Hemis National Park to reach the village of Sumdzom. There are nice camping options here and we pitch up here for the night. 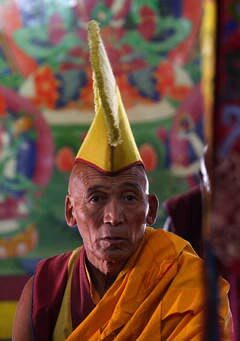 From Sumdzom we walk upstream and then climb up the hill till we get to Kandala Nallah, along which a path leads to high pastures. On the east is a path that leads to Rumbak Village which we avoid taking. 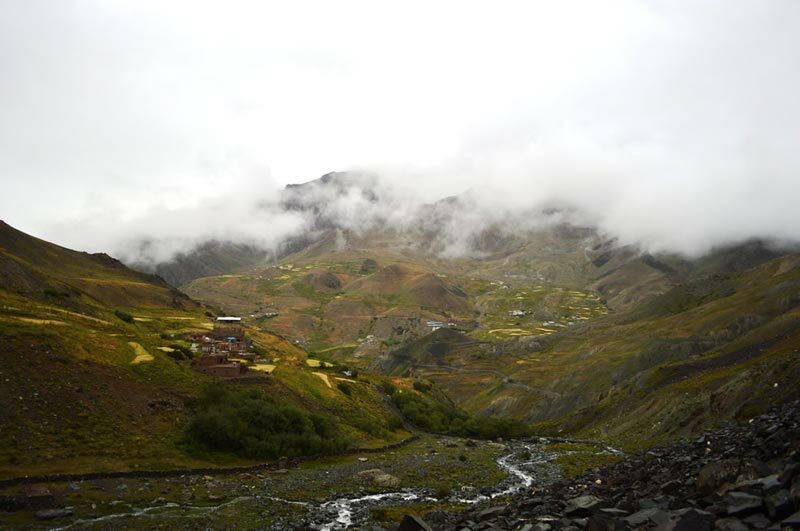 Instead we go westward following the path to Yurutse and the Kandala Base Camp. The flat campsite a commands a very nice view of the valley below, and we shall pitch up here for the night. Today is a long day. The trek up to the Kandala Pass (4870m) takes a little under two hours of steady climbing from the base camp. From the pass a well-defined path leads down to Shingo. This descent takes around two hours. Beyond Shingo we head lend for Skiu after crossing the Shingo Nallah. This stretch takes around three hours. Skiu is a fascinating place with ruins of ancient monasteries. Our campsite is beyond the village by the Markha River. An early start is recommended for this day as it gets very warm when it is sunny, although the walking is not very strenuous. The trail from Skiu leads to Sara where one can stop for a quick lunch. Beyond Sara the trail goes up to the village of Chalak. We cross a river and keep going ahead for around two hours till we reach the swift Markha River. After fording across the river from the shallowest spot we carry on further to arrive at Markha Village. There are a number of options for camping here. This day is a moderately tough walking day, passing through the villages of Umlung and Hanikar. The Kangyatse Peak (6400m) dominates the landscape. The trail goes northwards upto the confluence of two rivers Luntang Chu and Nyimaling Chu. At the end of the trail we get to Thujungste village. The campsite is excellent. Today is a easy walk. The trail from Thujungste leas you to Nyimaling passing through several Mani walls and shepherd camps. On the way the views of Kangyatse Peak are simply spectacular. Nyimaling is a beautiful place and one can spend the afternoon exploring the valley. You can spot Blue Sheep and other wildlife in this area. From Nyimaling the trail crosses the Nyimaling Chu and ascends steeply upwards to the pass at Kongmaru La (5130m). From here the descent is sharp and an hour's walk takes you to Lhartse. The trail leads to Shang River and beyond this are the shepherd camps at Chuskumo and Chukdo. Finally we get to Shang Sumdo where the campsite is located before the confluence of two tributaries. Morning may be spent exploring Shang valley and the monastery of Shang. Then we set out along the dirt road to Martselang. From here a taxi would be prearranged to take you to Leh.